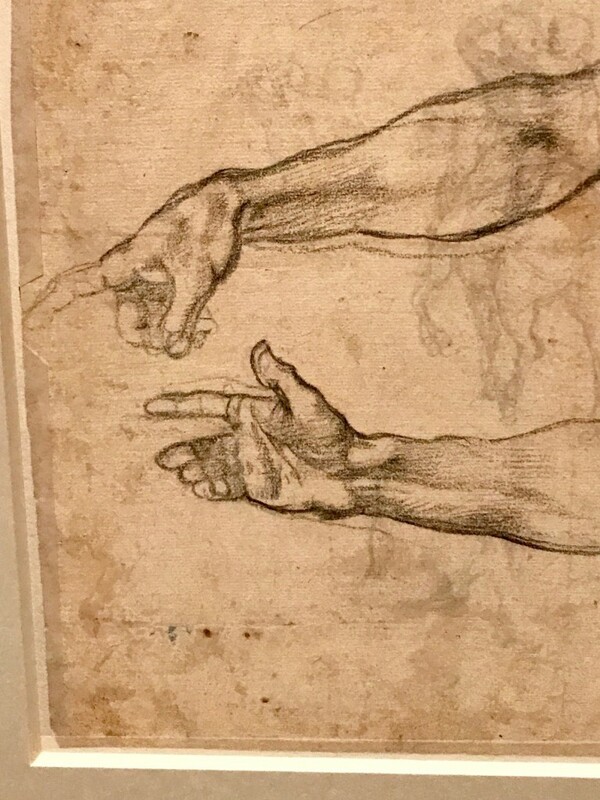 It is a very wonderful year to see the genius of Michaelangelo uncovered. 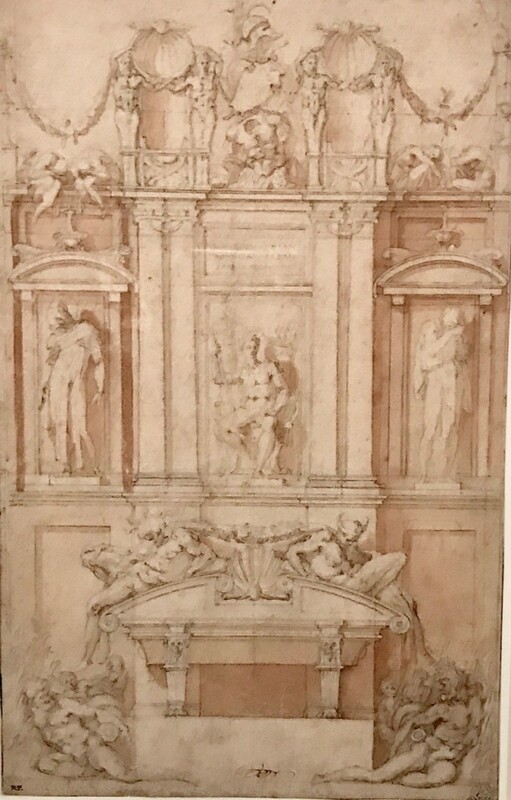 There is a wealth of works usually never shown to the public prominently displayed for viewing. 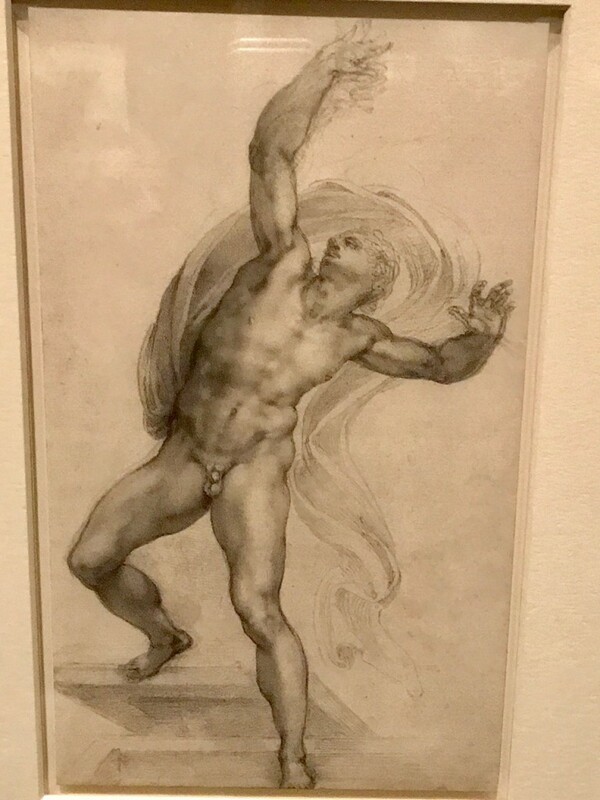 First I saw his river god, on view in his hometown of Florence at the Palazzo Strozzi. 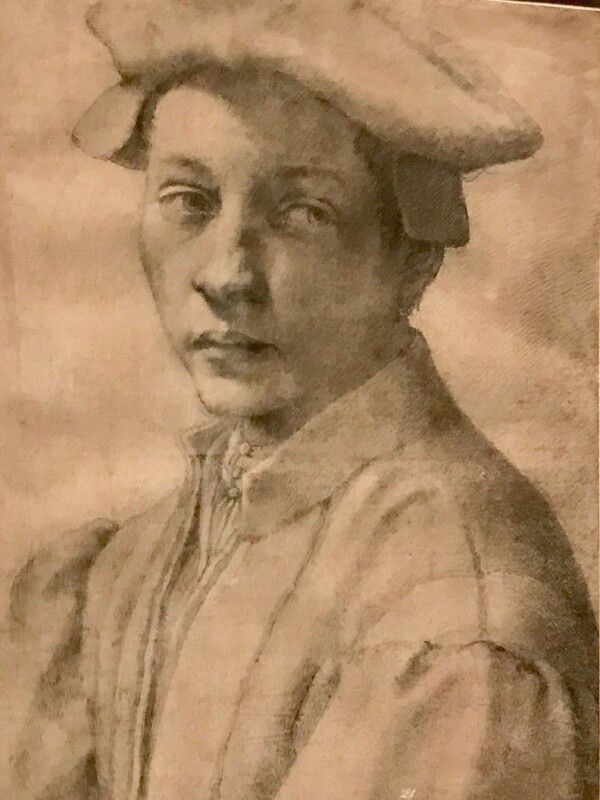 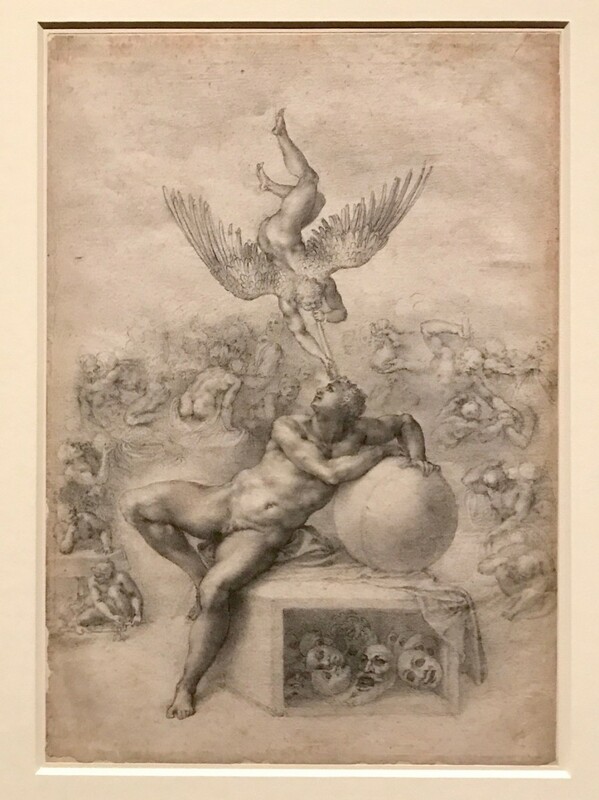 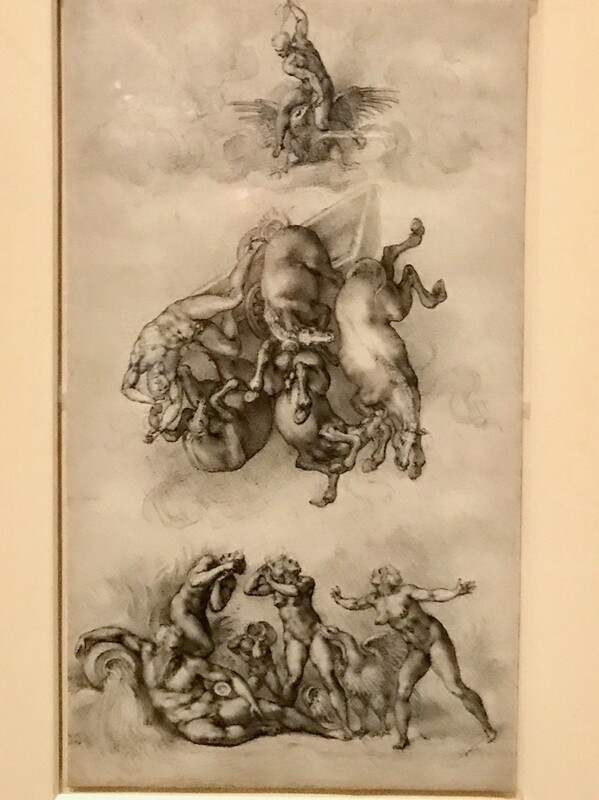 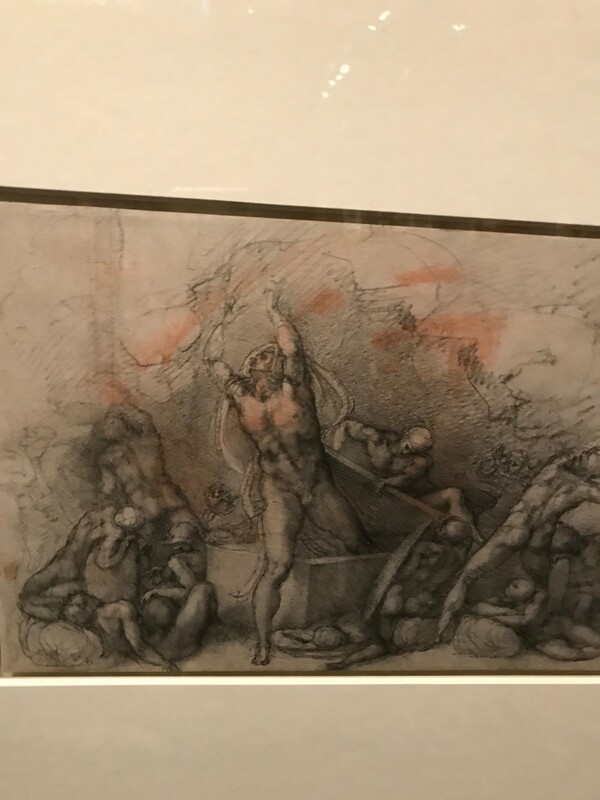 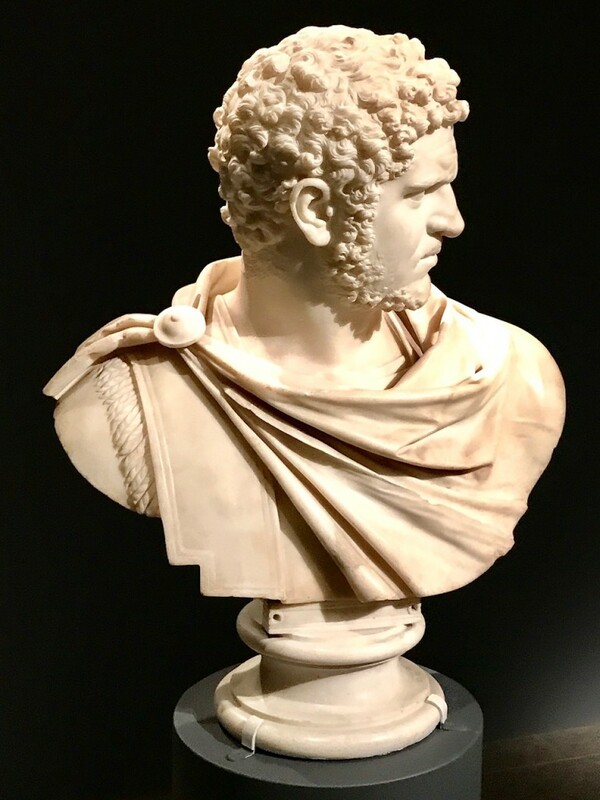 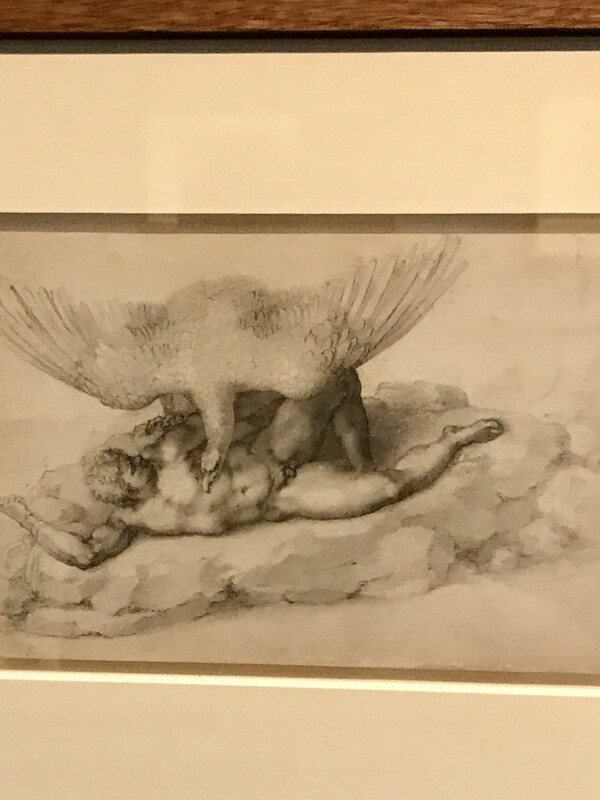 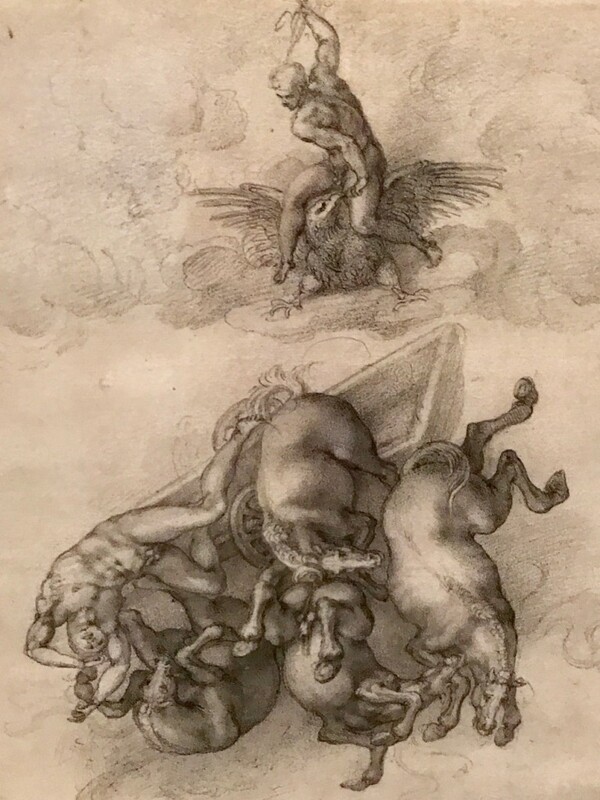 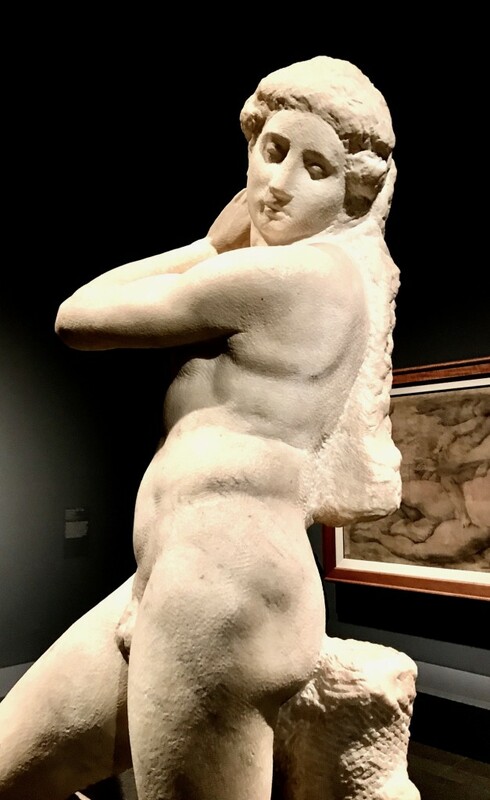 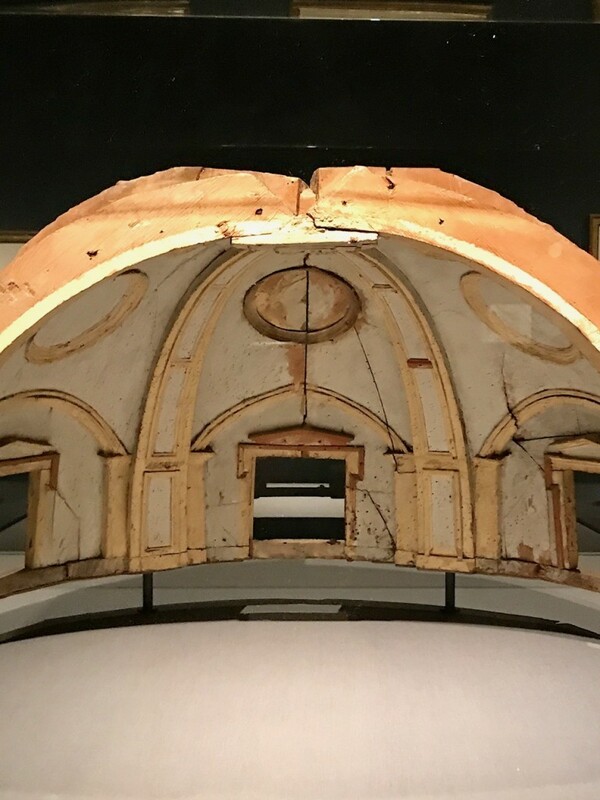 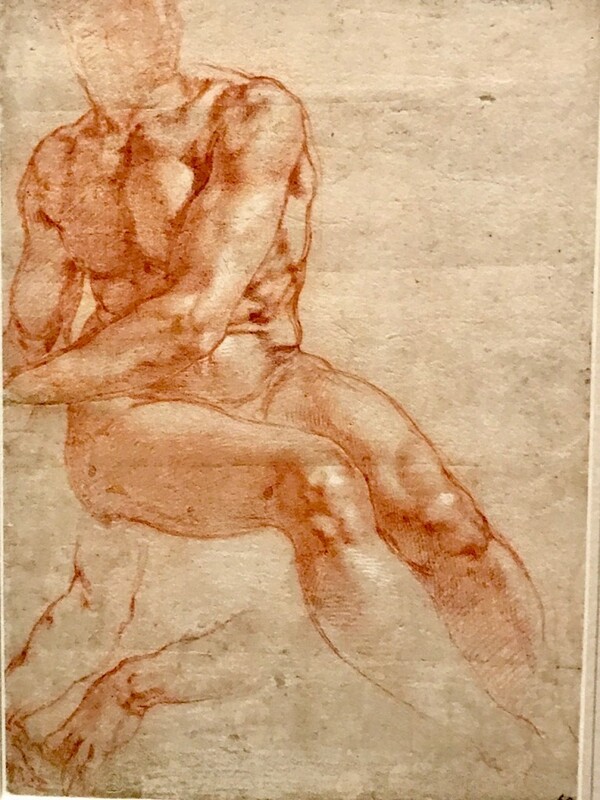 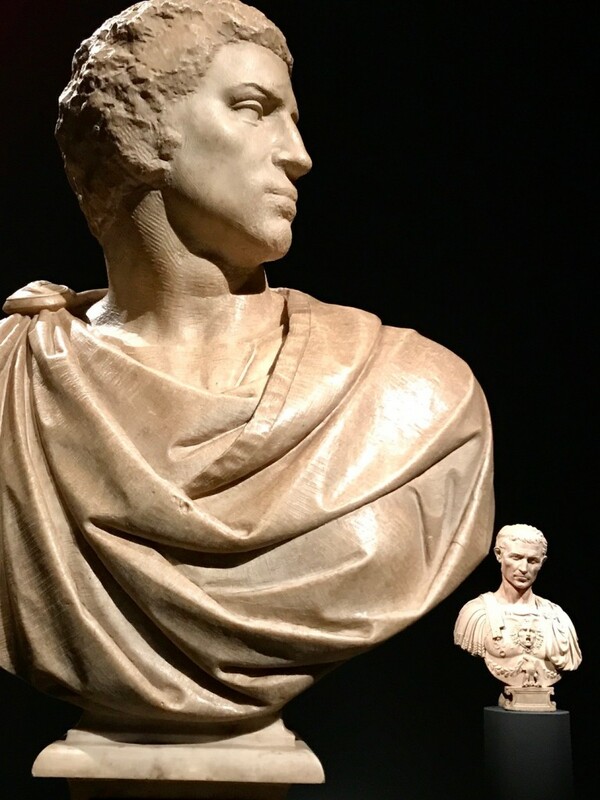 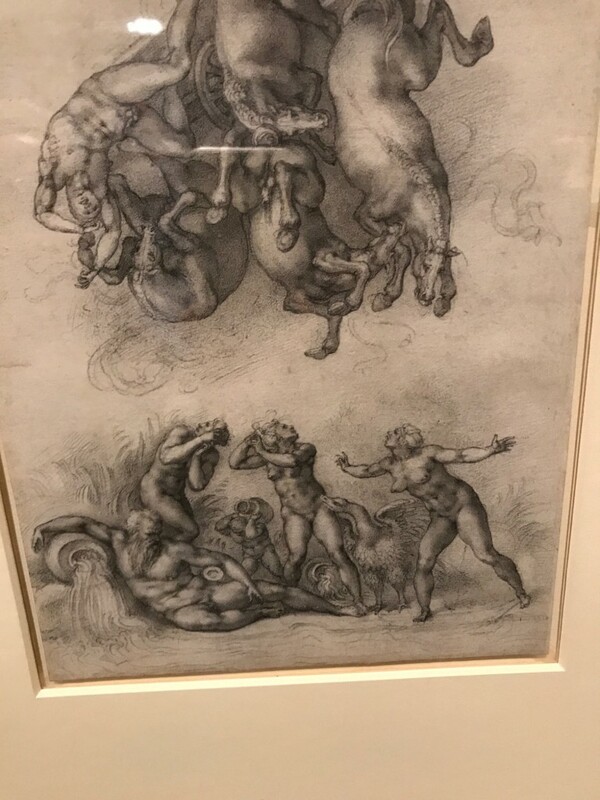 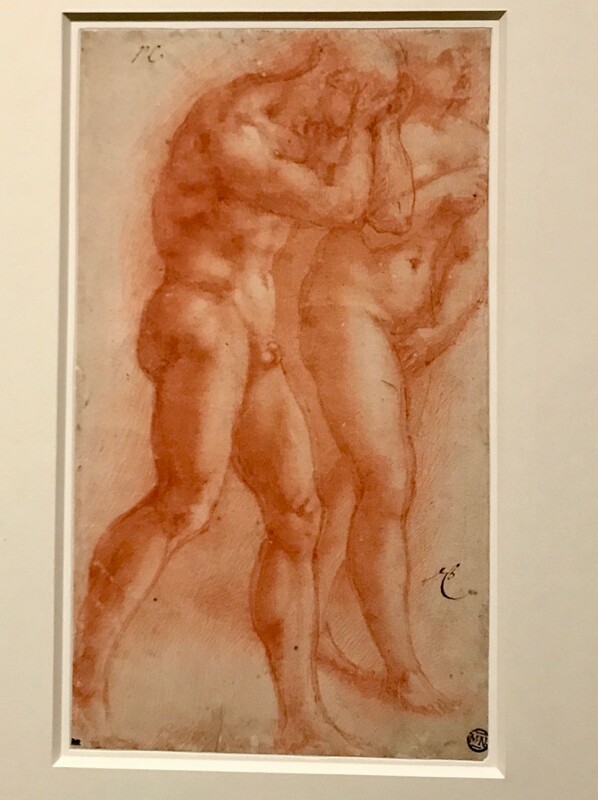 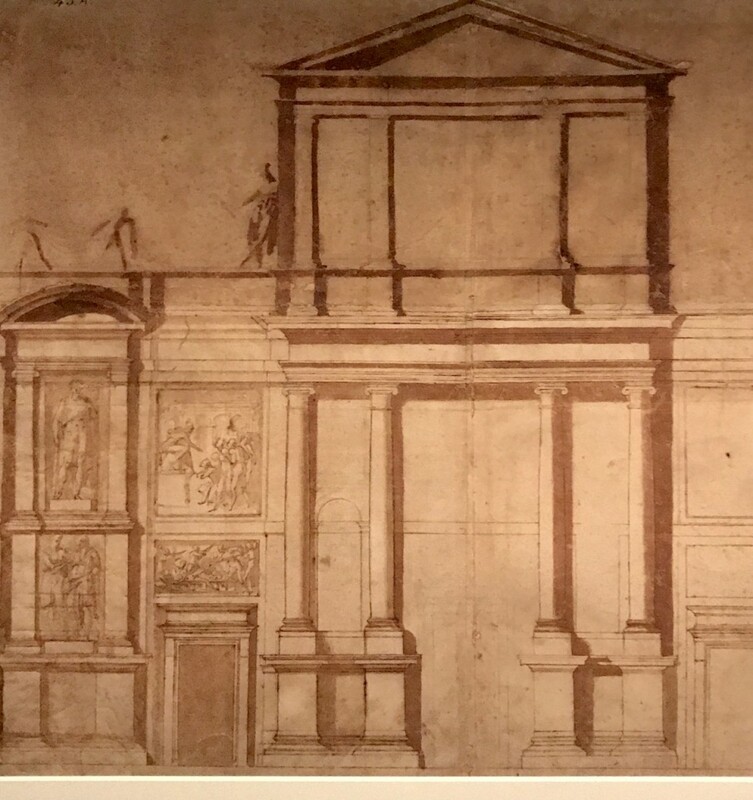 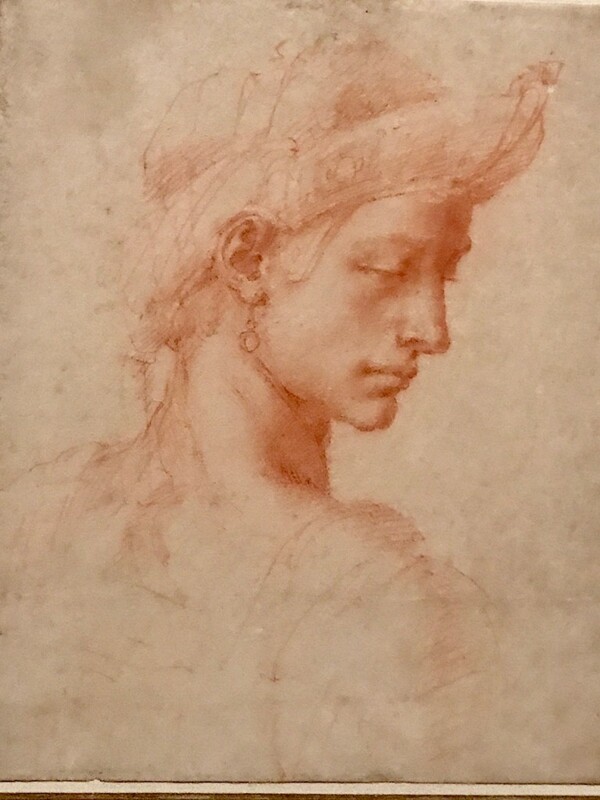 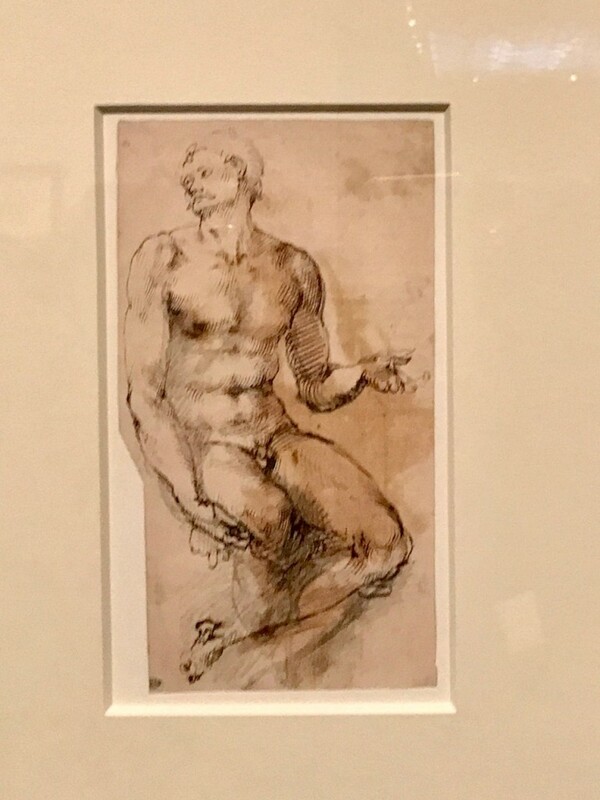 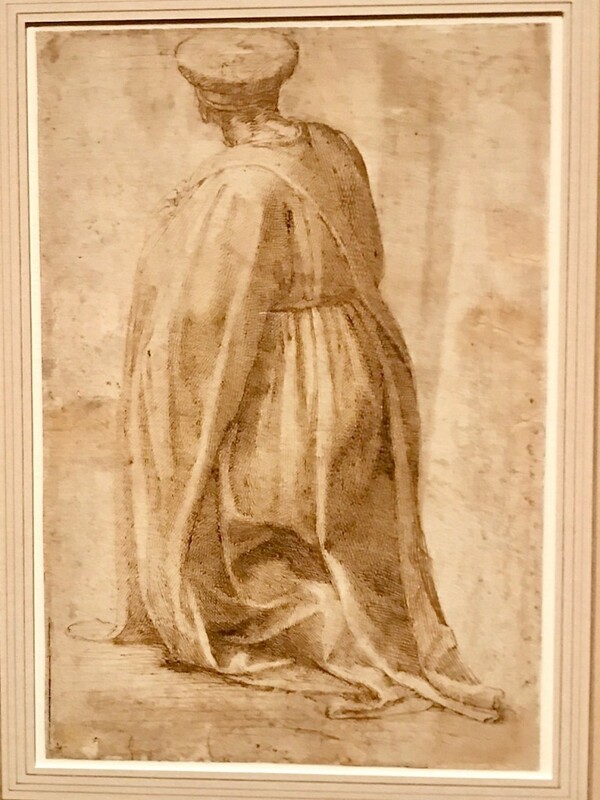 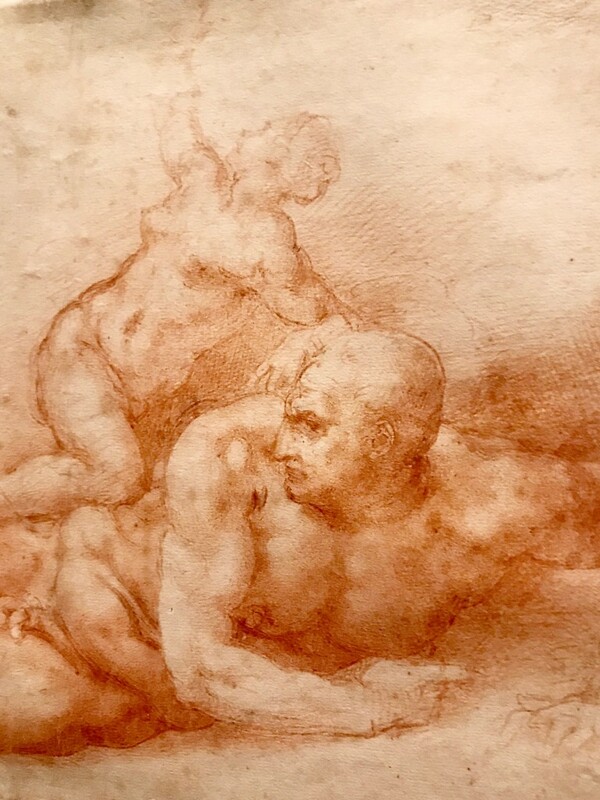 Last Saturday I visited the New York Metropolitan Museum’s extraordinary exhibition of his drawings, accompanied by sculptures and other works by those he designed for or heavily influenced. 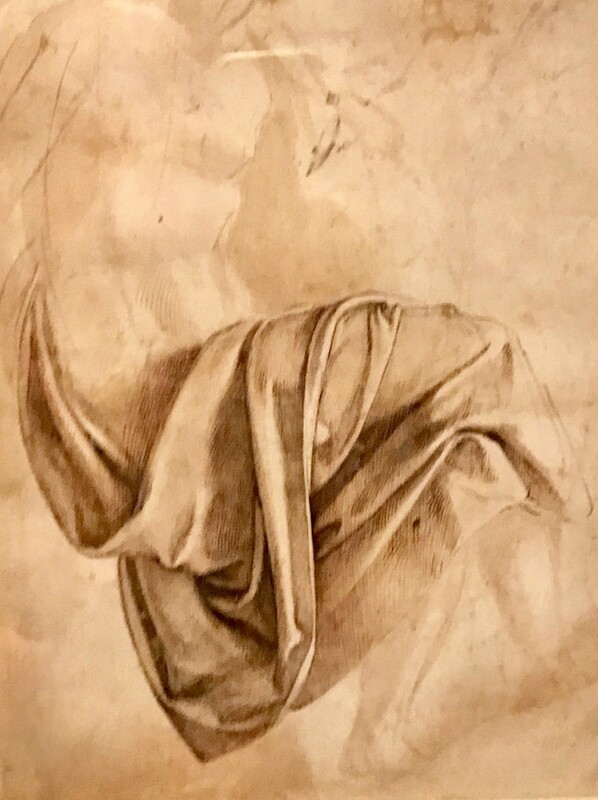 For this once-in-a-lifetime exhibition curators were lucky to draw from the collections of Her Majesty Queen Elizabeth, the Louvre in Paris, the Uffizi in Florence and other major holders of his genius on paper. 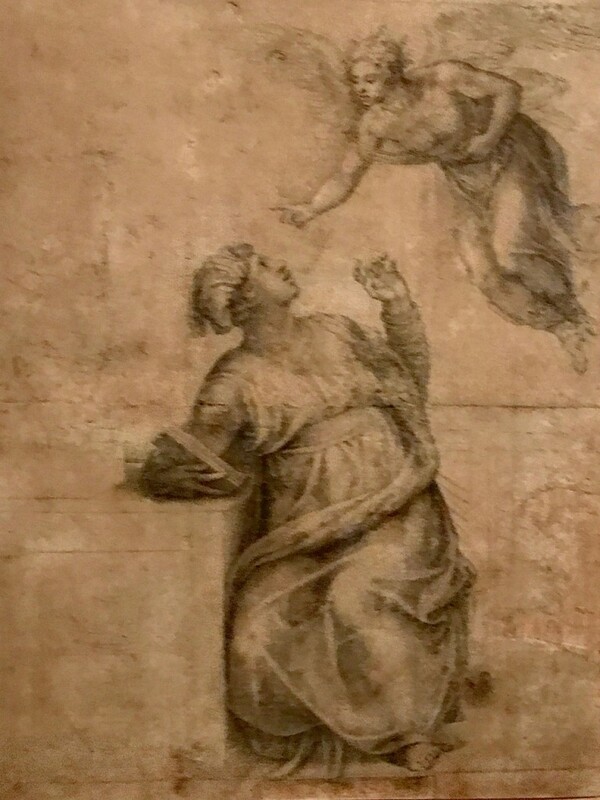 All were extremely generous in their loans to this exceptional exhibition. 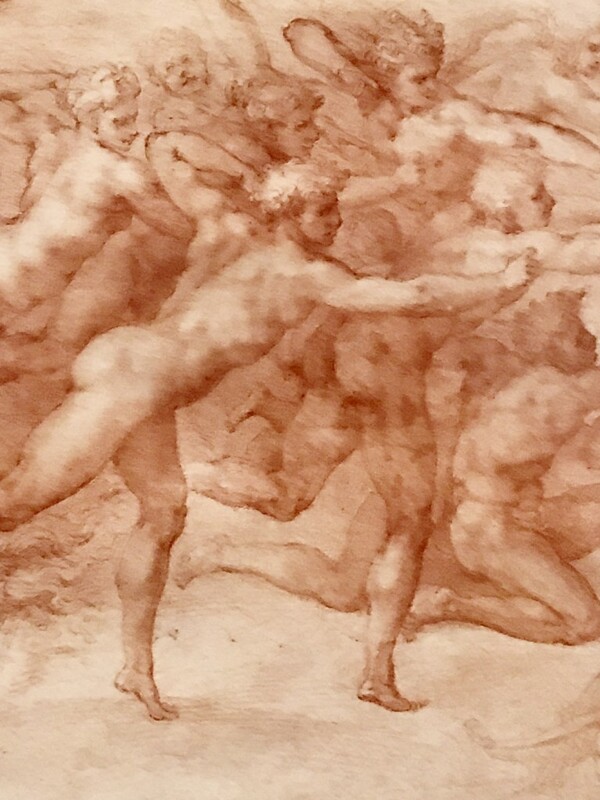 As most of the works are on paper, they are extremely fragile and susceptible to exposure to light. 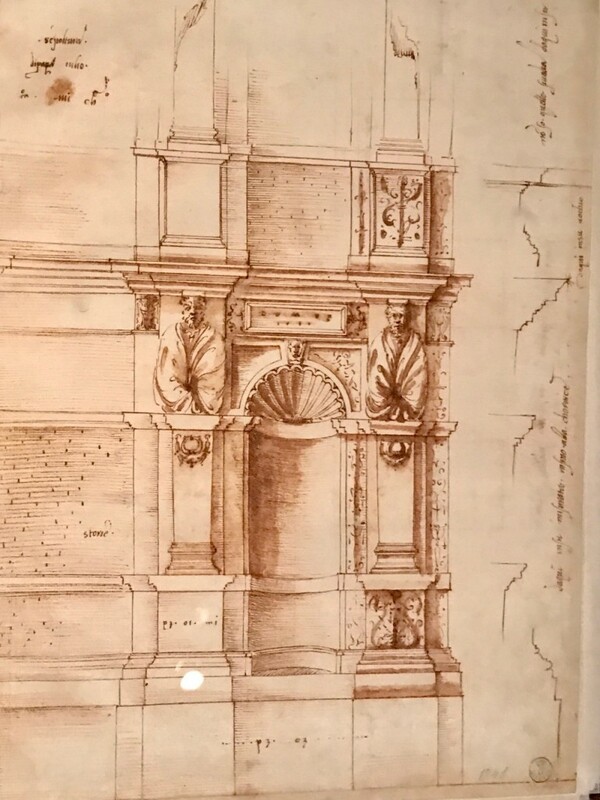 Therefore exposure to the public must always be extremely limited to prevent fading and deterioration. 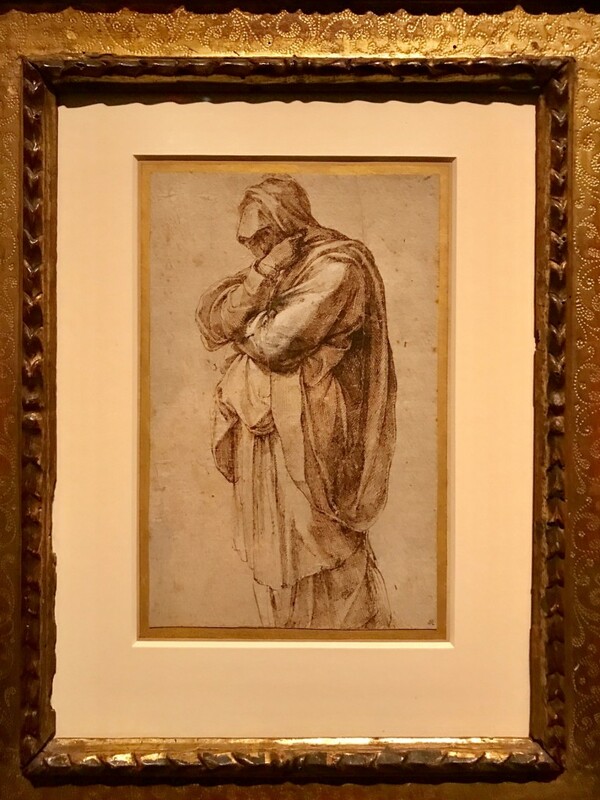 I feel blessed to have experienced this amazing collection in one three-hour tour, with Nevada artist Tim Bavington, studio mates Alex Woogmaster and Phil Jackson and my husband Arthur. 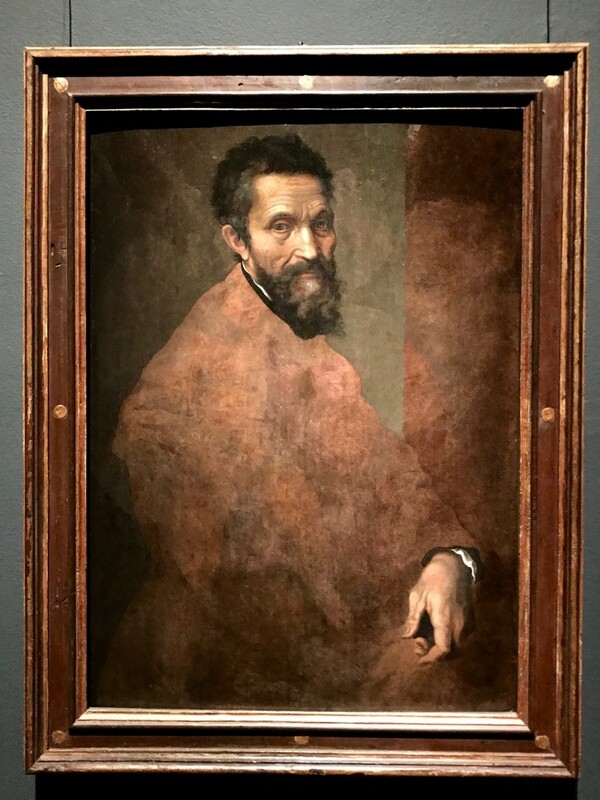 We all left the experience changed forever.